Xylan 1010, 1070, 1014, 1052 and now 1424 have been used as bolt coatings for almost a quarter century now. Most major Oil and Chemical Companies recognizing that maintenance is a huge issue have made coated bolt specifications for bolted high pressure flange connections. The various properties on the Xylan give excellent make up and brake out torque and reduce the need for high risk cutting torches or high cost bolt cutting when maintenance is required. Xylan 1014 in bolt coatings used for its good lubricity, chemical and abrasion resistance. Xylan 1052 for coated bolts used for its excellent lubricity. Xylan 1070 and 1010 where the pioneers in the field – used for the lubricity and chemical inertness. With VOCs an ever present issue these days Whitford has made a low VOC version 1424 which Sigma applies to achieve the results need in a coated bolt connection and to stay complaint in a green economy. 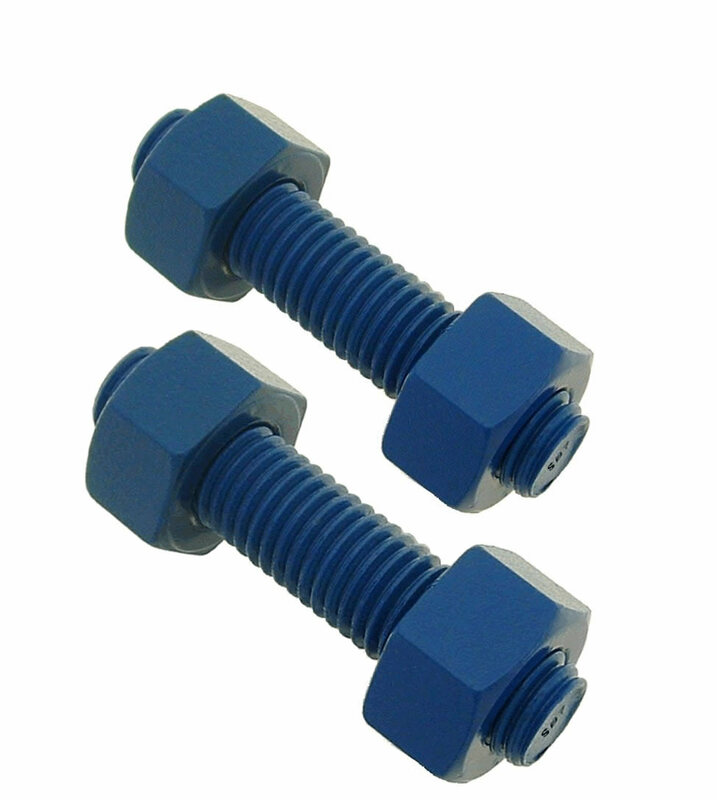 Xylan coated bolts come in many tints and the coated bolts are often coordinated with standard corporate color branding schemes. While very light shades are possible most of the popular hues range from a Dark Yellow to black with Reds and Blues and greens being the most widespread.